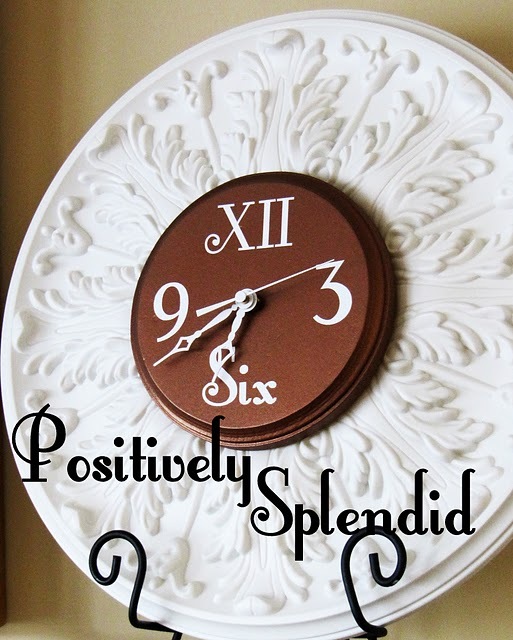 The positively splendid Amy from Positively Splendid made this gorgeous clock using a ceiling medallion. It is gorgeous and Amy makes it look easy to create. She shared her tutorial over on Shanty2Chic and you can check it out HERE.